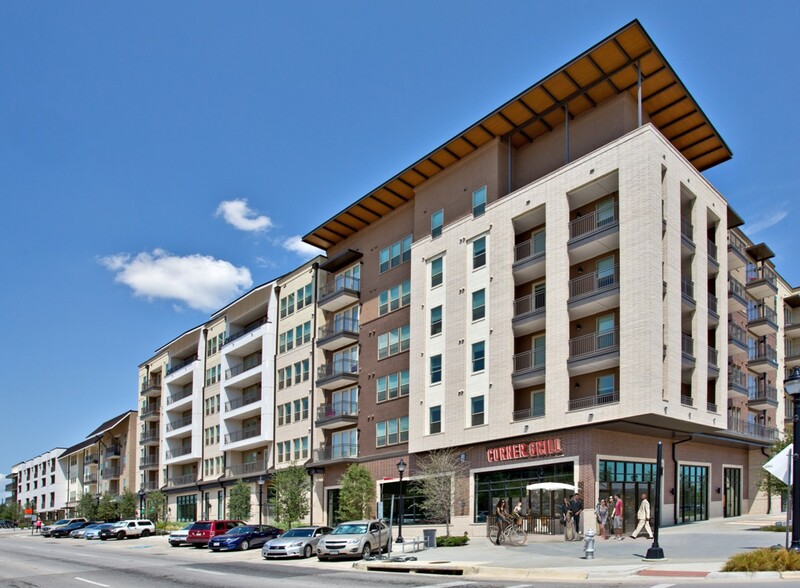 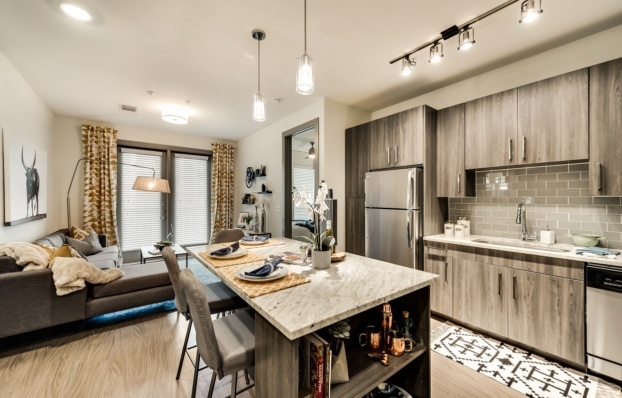 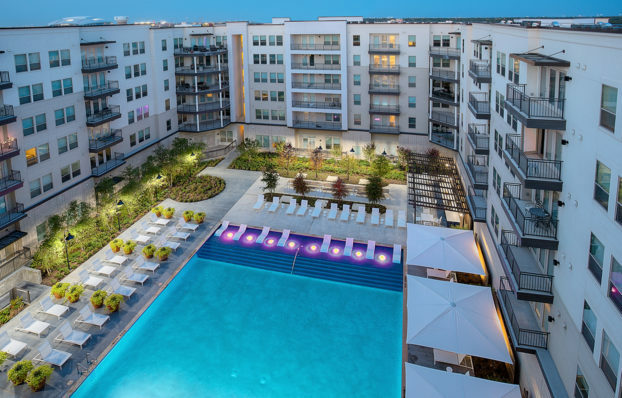 101 Center anchors the City of Arlington’s City Center district in which a new central library, city hall council chamber, urban plaza, and performing arts pavilion combine with this mixed-use residential development to form a new heart of the City. 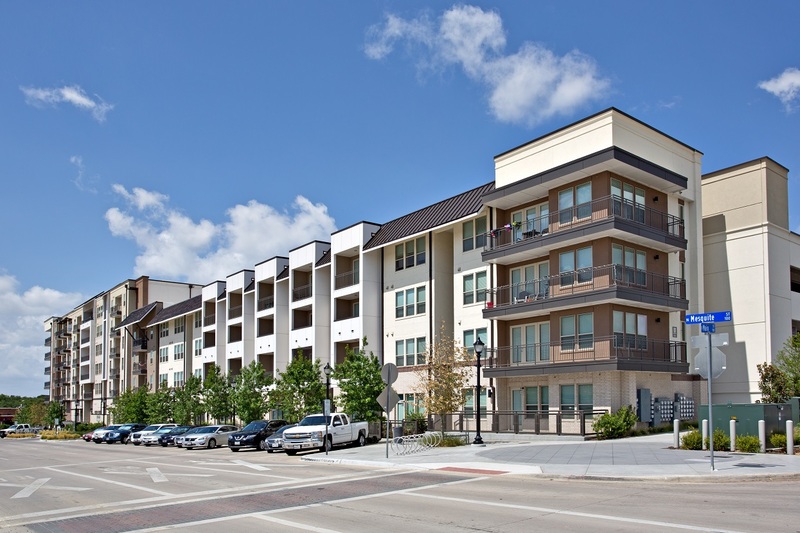 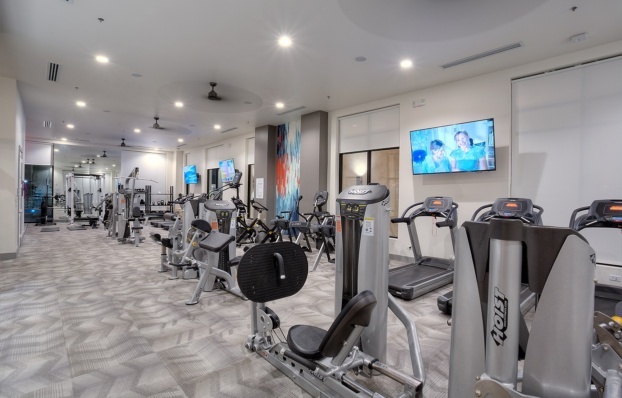 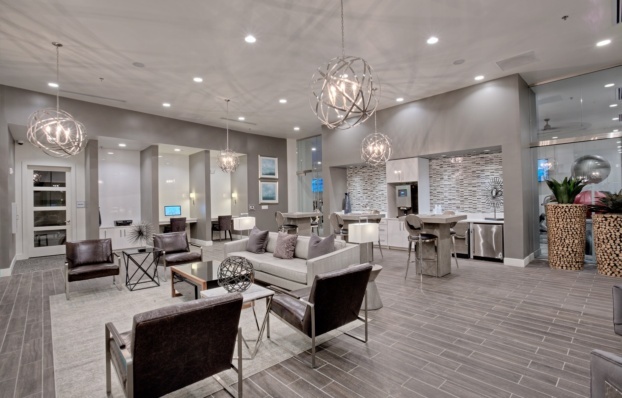 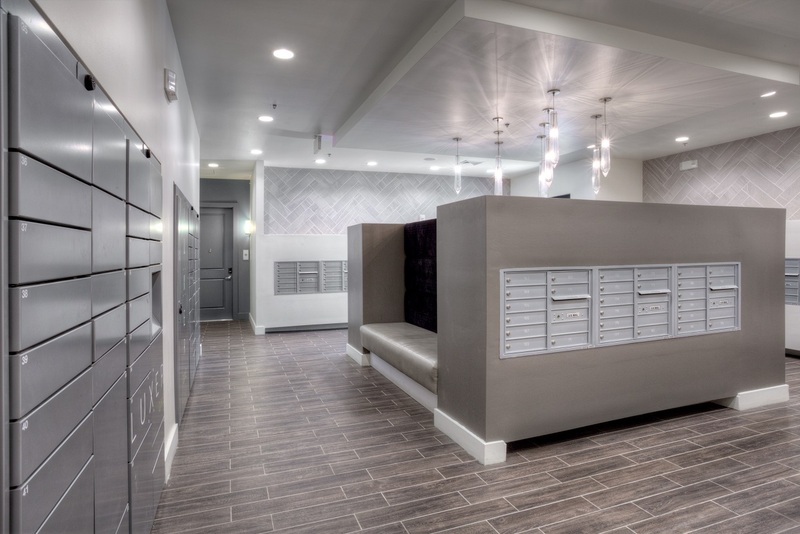 The development consists of 224 apartments including ground level live/work units, 16,000 sf of restaurant and retail space, a shared parking garage, and a large community club with a commercially-scaled fitness facility, central community hall, coffee lounge and business center with individual work rooms. 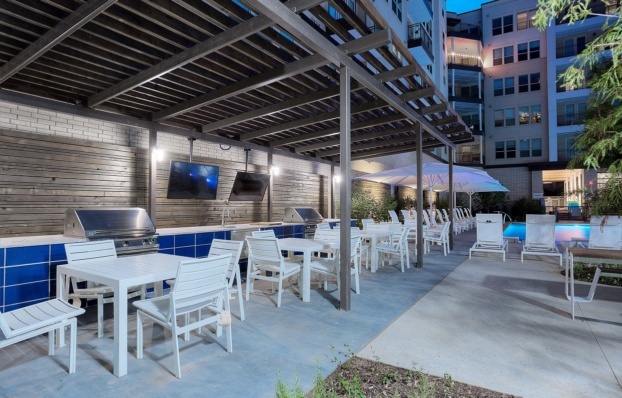 Four and six-story buildings surround a luxurious urban courtyard that features one of the largest pools in the market, a trellised grilling pavilion, outdoor television lounge, tree grove with community table having WiFi access, yoga terrace and sunning shelf. 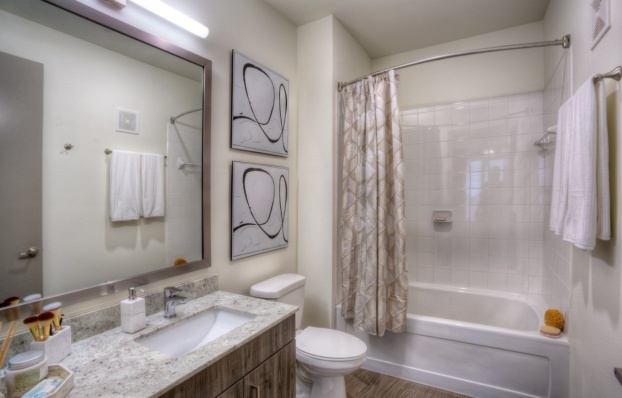 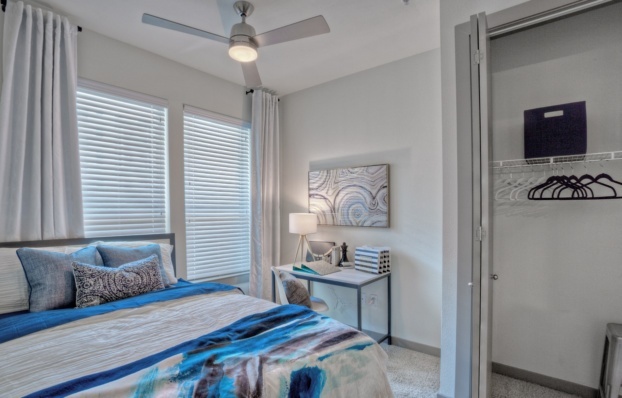 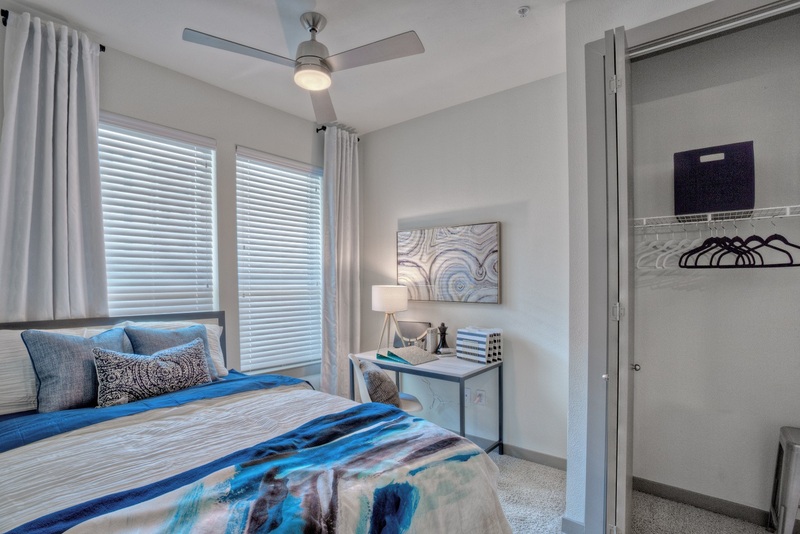 Inside each unit, residents enjoy high ceilings with 8' doors throughout, quality designer finishes, walk-in closets, access to outdoor terraces, endless hot water through a central on-demand system, and a top-of-the-market technology package that includes Nest thermostats and very fast wireless speeds. 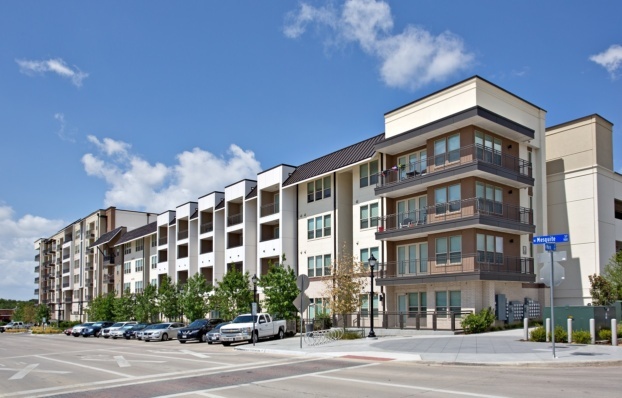 -- Awards and Distinction -- Greater Dallas Planning Council’s Urban Design Award for New Development, Public/Private Partnership with City of Arlington.